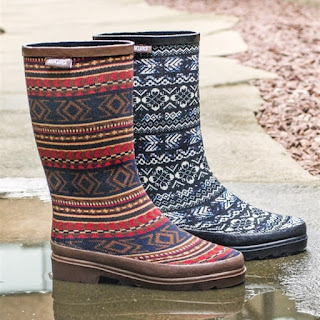 Head over to get a pair of these MUK LUKS Women Anabelle Rain Boots for ONLY $23.99 (Retail $75)! Splish, Splash, and Splurge on our Women's Rainboots. MUK LUKS Annabelle Rainboots have a comfortable lining, a durable rubber sole and various colors such as brown and black. Our rainboots are water resistant and are tall to protect you from those puddles. These are available in whole sizes 6-10 and should be spot cleaned with a damp cloth, no bleach, and laid flat to dry.